Ask and you shall receive: a compilation of all the things that make the OLC kitchen go 'round. This guide covers everything from small appliances and baking pans to storage containers and pantry staples. This list will grow and change as I discover new ingredients and/or kitchen gadgets (or get tired of old favorites) (which probably won't happen buuuuut ya never know). Some things to note: I buy bulk ingredients (oats, nuts, beans, rice, dried fruit, etc.) from Natural Grocers, Safeway, Sprouts, King Soopers, or Whole Paycheck Foods. NG has a really great pre-packaged bulk section and - BONUS! - it tends to be far more affordable than other stores. We also go to Costco, on occasion, which is great for buying things in mega-bulk (almonds, dates, coconut oil, etc.). Brands I love: (Wares) KitchenAid, Vitamix, Silpat, Weck, Chicago Metallic, Fat Daddio's, GIR, Ateco, Dansk, Staub, Demeyere, Zwilling, Lodge, OXO, Glasslock, notPERFECTLINEN, and If You Care. 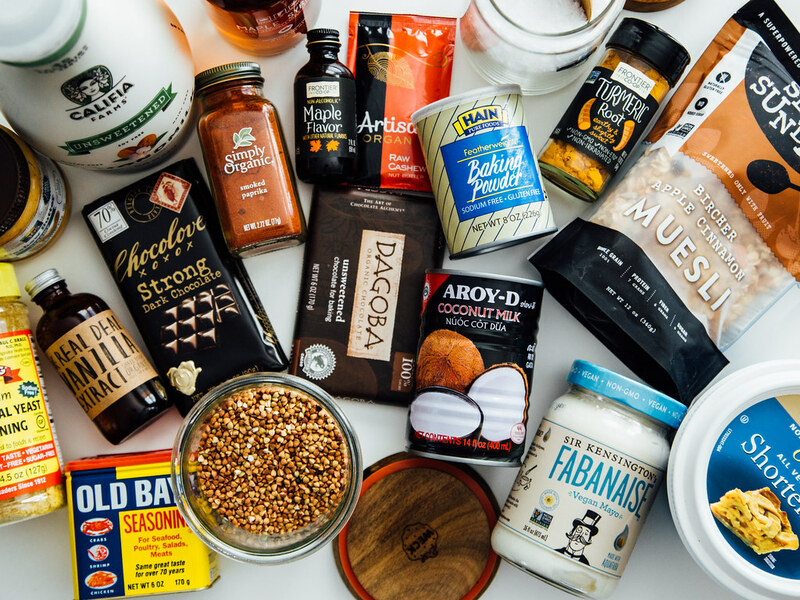 (Food) Califia Farms,So Delicious, Navitas Naturals, Nutiva, Vega, Muir Glen, Chocolove, Bob's Red Mill, Wholesome, Artisana, Simply Organic, Tinkyáda, San-J, La Tourangelle, Vital Proteins, Lotus Foods, Seven Sundays, Sir Kensington's, Mother-in-Law's, Food for Life, Dave's Killer Bread, and Hain Pure Foods.